On 26 January 1950 the Constitution of India came into force and India declared itself a Republic. 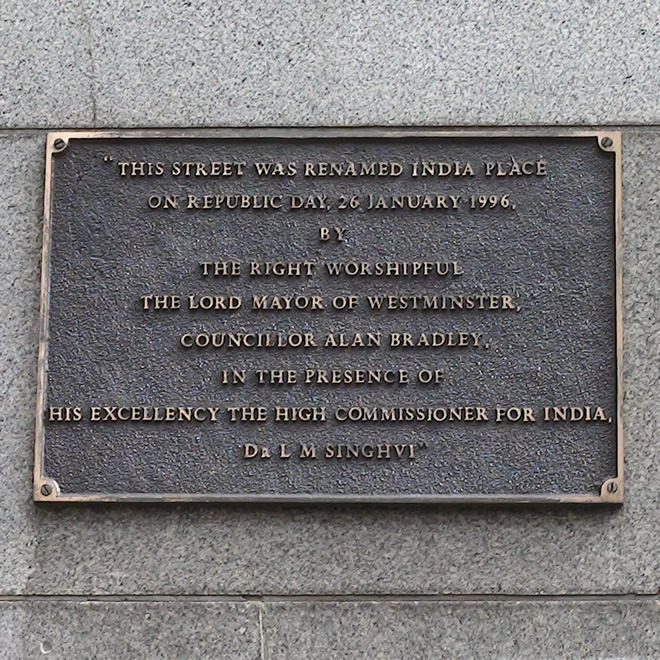 That brightly coloured lump just below the plaque is one of a few hundred elephants that have recently invaded central London (2010). 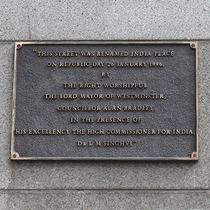 Councillor and Lord Mayor of Westminster in 1995-6.